The talk took place at Hennings Wine Merchants in Chichester, who very kindly supplied the venue and the wine. So what did we talk about? Here is a resume of the discussion we participated in on the night. Christine Hammacott led the discussion by introducing the three of us in turn. Christine has been writing for over 20 years and started as a result of a day job. As a graphic designer she was frequently presented with copy that quite honestly was pretty terrible. Having loved to write, she joined a creative writing course, entered a national writing magazine competition and won first prize which gave her the confidence to try something larger. Her debut novel ‘The Taste of Ash’ was published in 2015. Michael Parker left school with no qualifications but had a natural ‘leaning’ towards English that set him on the path to writing. Michael has written for as long as he can remember, but not with the success he first coveted. Michael’s first novel, NORTH SLOPE was published by Macmillan in 1980. His second THE SHADOW OF THE WOLF in 1984 by Robert Hale. The intervening years have seen some massive changes in publishing with publishers merging and opportunities dwindling. And this has been a frustration to us all. It was not until 2007 when Michael saw his third novel published. Since then he has published about a book a year. Michael has worked as an office boy, a Merchant seaman, a plaster’s labourer, a deck hand, a cinema projectionist, an RAF Technician and a maintenance technician in the food industry. He has also worked in the Middle East and lived Spain, settling on the Costa Blanca with his wife, Pat. So Michael has plenty of resources to draw on for his writing. WHAT EXACTLY DO WE WRITE AND WHY DID WE CHOOSE THE THRILLER GENRE? Books by thriller writers Christine Hammacott, Michael Parker and Helen Christmas. Michael: I call myself a thriller writer, but I really am a stand-alone author. I write stories set in different time periods and different places. North Slope. (Alaska 1968 — Discovery of oil). Hell’s Gate (British East Africa, 1898), Shadow of the Wolf (1943 — Nazi wolf packs and secret radar), plus many others. Why did I decide to write in this genre? I can only really write what ideas come into my head, and they do not always end up as modern thrillers. 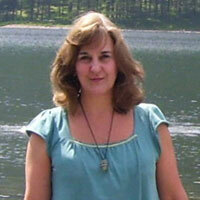 Helen: I have written a mystery suspense series which spans four decades. ‘Same Face Different Place’ begins in 1972 when a prominent British MP is murdered in a car bomb explosion. Everyone assumes the IRA is responsible but there is a witness. A young musician from Holland is the only person who can throw the spotlight onto the true culprit. But as powerful members of the ‘Establishment’ they arrange a contract to silence him. I am a big fan of thrillers and have always enjoyed reading this genre. I love conspiracies, especially when they involve police cover-ups and organised crime. Christine: The Short story competition I entered was called ‘Curiosity killed the Cat’ which obviously infers something bad happened as a result of being nosy. It was about a busy-body who liked poking around in other people’s houses but in this instance there was a break in and her fingerprints were all over a neighbours house. I was reading Minette Walters and Nicky French around that time and decided that if I was going to spend time writing I should chose a genre that was commercial and that I stood a chance of being published in. It was also because I like to find out about people, how what is shown on the outside isn’t necessarily a true reflection of a person’s character and that is what the psychological suspense genre is all about. A LOT OF CRIME THRILLER WRITING IS PLOT DRIVEN. WHAT’S THE MOST IMPORTANT ASPECT OF YOUR WORK, PLOT OR CHARACTERS? Christine: Character. I develop the outline of a character at the start of a book but get to know them as the book progresses. That’s the joy of writing for me. I throw problems at my main characters to see how they will react. In The Taste of Ash I have my main character Zoe trying to move on from a fire that has destroyed everything and leaves her feeling like a refugee. But to make her physically as well as emotionally vulnerable I have her hobbling around on crutches for the entire book too. The plot is a morphing structure for me. I write scenes that are pulled into a structure. It’s much the same process as designing where you need to assemble the elements and key points so that you can create the overall balance and make it work. It’s a long winded way of doing it and I wouldn’t recommend it but it works for me. Michael: I let my characters do the talking and walking, therefore my stories are character driven. There has to be a plot of course, but it doesn’t always turn out the way I thought it might. Helen: Both. My first goal was to create strong characters that people would love or hate. From my very first novel, as the characters developed, some of them gradually became more evil… I wanted to depict every human emotion: love, hate, passion, jealousy and revenge (to name a few). Once you have a cast of powerful characters, it helps you to drive the plot. HOW MUCH RESEARCH DO YOU NEED TO DO FOR YOUR BOOKS? Helen: I like to do lots of research for my books as it is so important in crime fiction to add authenticity to your book. I often visit real locations, to research such scenes as a chase across the London Underground or an escape from a house in Pimlico. The London Underground is on three levels so it was really important to get the escalators the right way round, which I confess to having got wrong in my 1st draft, something a die-hard commuter on the tube might have picked up on. In addition, it is vital to get police procedures right which might involve approaching your local constabulary. I was lucky to spend an afternoon with crime thriller writer, Marion Kille and her husband (who spent 30 years in the police force). I learned about the forensics used in gun crime as well as the criminal conviction process which was vital for my 3rd book. Christine: I write contemporary fiction so most of the content is observed from every day life. However it is important to get facts right where possible. I watched numerous videos on fires and a retired fire officer read the fire scenes for me. The Portsmouth police were really helpful and a showed me round the police station and talked through photo fit procedures although of course over time these things do change. Sometimes you have to use artistic licence though. There is a particular scene in a pub that doesn’t exist in real life but that I needed so that my character could see someone through a side window but not get to them through a crowded pub. Michael: I began writing before Amazon and Google were invented, so most of my research was done using the local libraries or talking with people who experienced the subject I was researching. Nowadays I can research on line and uncover much more than I could years ago. IS THERE A PARTICULAR AUTHOR WHO INFLUENCED YOUR WORK? Michael: Hammond Innes was the reason I wrote my first, published novel. I planned to write something set in Canada but ended up in Alaska (North Slope). It was while I was researching this novel that I read an autobiography written by an English teacher who went out to Canada in the early 1900s to teach English to the Innuit Indians. That was where I learned how Husky dogs are bred and how vicious they can be: something I used in the book. THRILLERS AND SUSPENSE BOOKS KEEP READERS ON THE EDGE OF YOUR SEAT. HOW DO YOU GO ABOUT DOING THIS? Helen: I build up the suspense slowly, but to keep readers really turning the pages, I occasionally split two alternating scenes. I start with one scene (say, a character who has picked up a clue about his missing relative) while in another scene his girl friend is about to be attacked. Leave the latter scene as a cliff hanger and return to the first and your readers will be hankering to know what happens i.e is she going to survive? Christine: I love playing with the rhythms. Creating tension and a lull in the structure with fast and slow paced scenes and a gradually building undercurrent of fear. The suspense structure in The Taste of Ash starts with a fast paced opening, eases back as we get to know the characters and situation then starts to build tension and suspicion that culminates in a fast paced climax. So that completed the session and to round off the evening, authors took questions from the audience. This post has also been published on the CHINDI authors website. This entry was posted in Research, Self Publishing, Thrillers, Writing. Bookmark the permalink.